Behind these groundbreaking walls is an idea -- we should be free to live in an environment that is non-toxic; one that helps clean rather than contaminate the air, the earth, and our bodies. 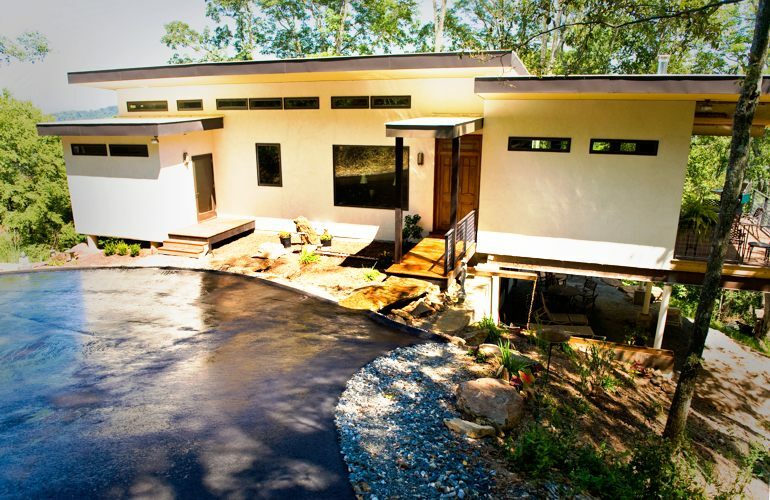 That was the pivotal point of my conversation with design/builder <a href="https://inhabitat.com/?attachment_id=164875">Anthony Brenner</a> on his house made from <a href="https://inhabitat.com/2009/08/24/hemcrete-carbon-negative-hemp-walls-7x-stronger-than-concrete/">hemcrete</a> based on industrial hemp-- the first in the US. The home has seen a meteoritic rise in the media, with coverage by <a href="http://www.cnn.com/video/?/video/tech/2010/08/25/dnt.nc.hemp.house.wlos">CNN</a> and <a href="http://content.usatoday.com/communities/greenhouse/post/2010/09/hemp-houses-built-asheville/1">USA Today</a>, and even <a href="http://www.latenightwithjimmyfallon.com/video/monologue-91510/1249432/">late night TV</a>, but behind the headlines and punchlines shouting out about the latest and greatest green material is a home that fulfills the core concerns of an environmentally-sensitive habitat. With that lens his company <a href="http://www.pushahead.com/">Push Design</a> was able to build a great home that is sizable but incredibly light on the environment, energy usage, and total cost. 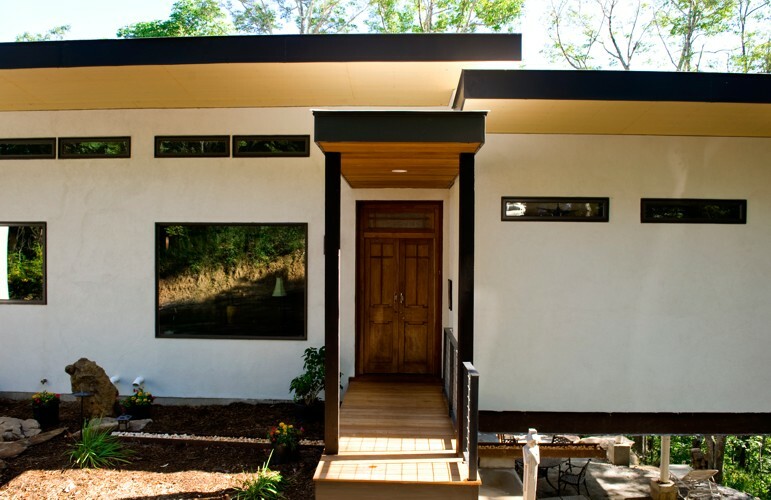 Located in Asheville, North Carolina, the 3,400 square foot Push House features a mainstream design with some very different systems behind its walls. 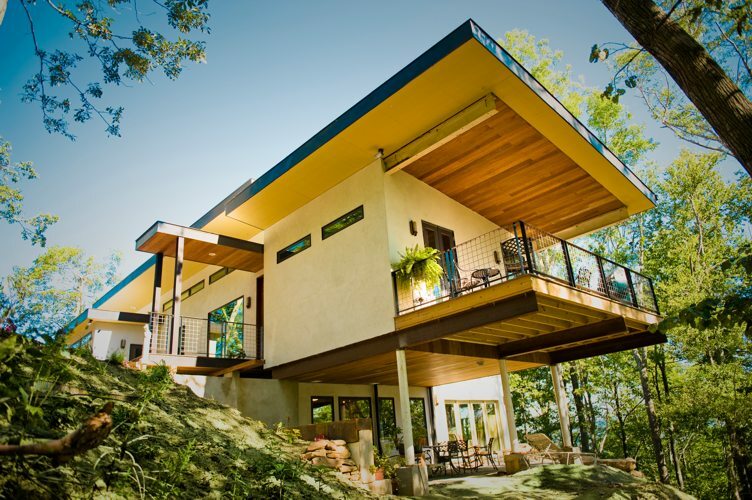 The home's use of hempcrete was only the start. 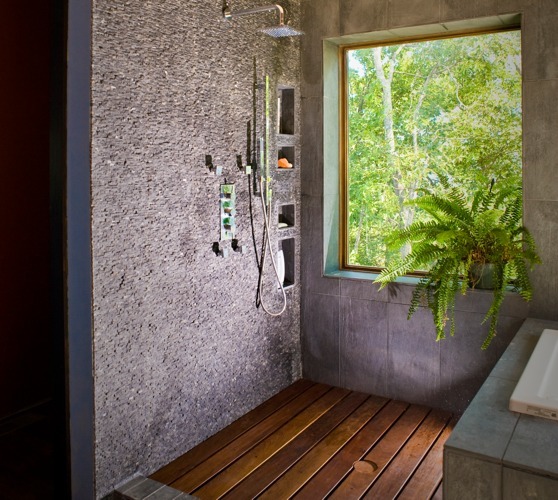 For this application, hemp hurds are mixed with lime and water onsite and poured in-between the exterior supporting studs in lifts. 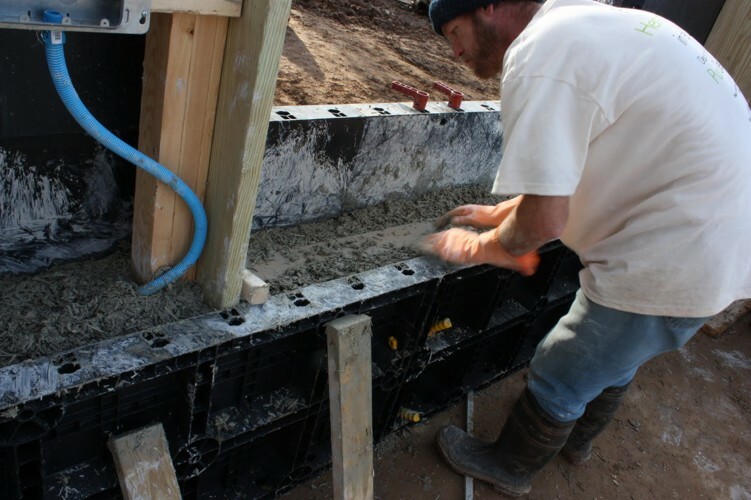 This forms the core of a breathable wall system -- Hemcrete is actually less like concrete and more like infill <a href="https://inhabitat.com/2007/10/25/hoks-leed-gold-certified-straw-bale-building/">straw bale</a>, as it is non-structural. The insulating quality is r-2.5 per inch, and it has the unique ability to capture airborne pollutants over time -- it absorbs carbon when it is grown and in place. 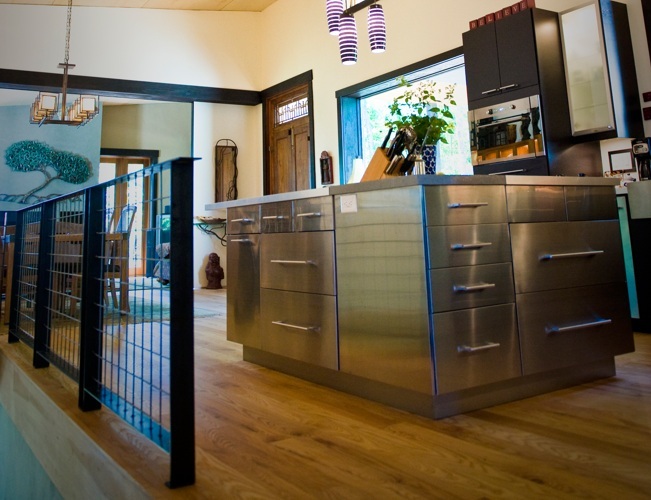 The material's high thermal mass helps keep a steady interior temperature as well. The interior walls are made from <a href="http://www.paragonpanels.com/purepanel.php">Purepanel</a>, another unique product that is made from recycled paper. 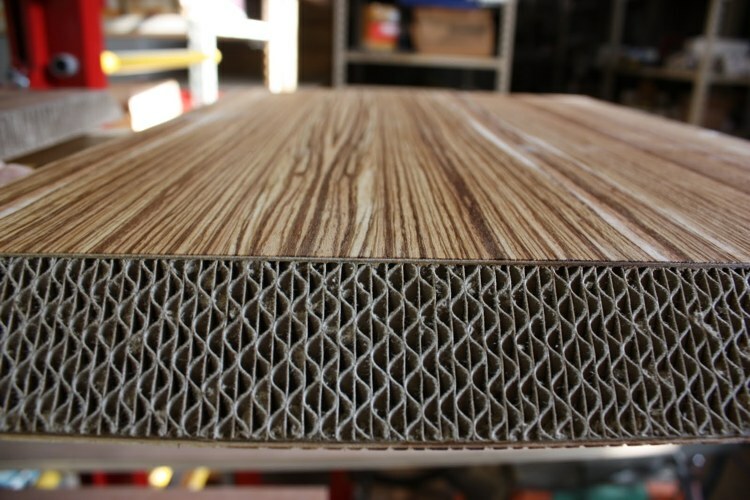 It consists of a rigid skin with a corrugated paper core, just like <a href="https://inhabitat.com/2010/08/09/corrugated-fiberboard-house-make-great-use-of-waste-material/">cardboard</a>. The project also features 30 window frames that have been salvaged and fitted with high tech glass. They were placed to get the most <a href="https://inhabitat.com/daylighting/">daylighting</a> without overheating the space. 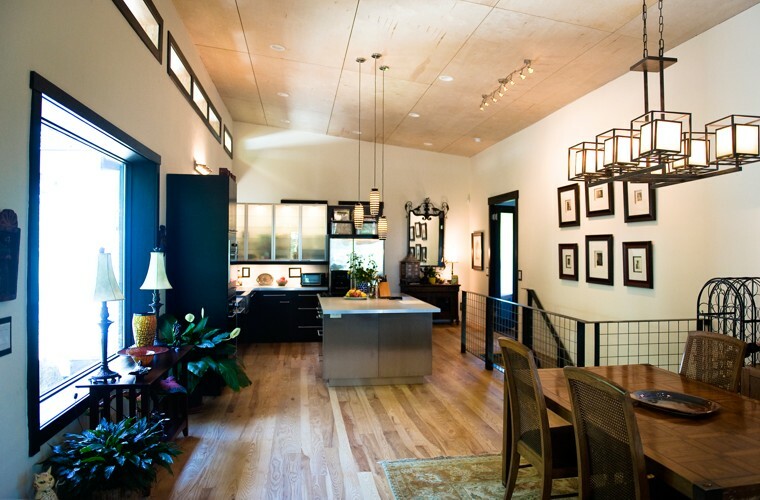 An open floor plan helps the light penetrate deep into the home as well. The energy-efficient wall system is coupled with a super efficient 21 SEER air-based heat pump to effectively heat and cool the home without a huge outlay of money in equipment. All of this pays off in a home that costs little to run, and it ended up costing a respectable $133 per square foot to build. 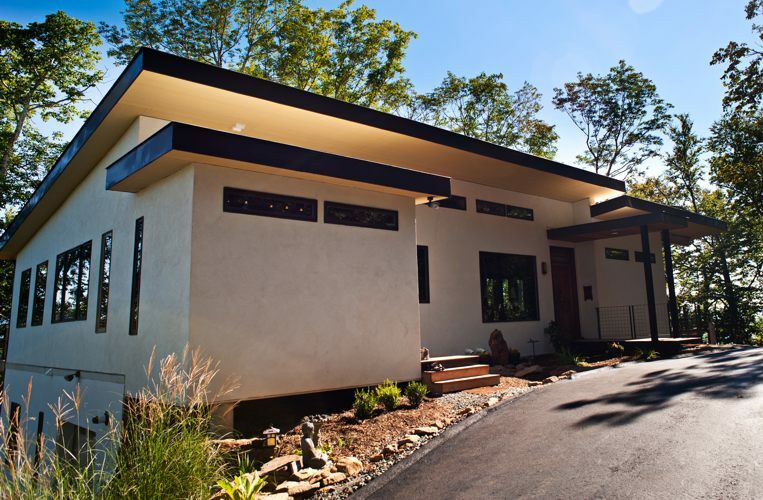 Although some compromises were made, like introducing petroleum-based foam products into the ceiling and foundation, the home exemplifies how health, energy and design can all exist in sync. Anthony is looking forward to building some smaller homes using the same <a href="https://inhabitat.com/materials/">materials</a> after getting through the learning curve of using Hemcrete. In the end, he says he will only build houses that are safe enough for his own daughter to live in. 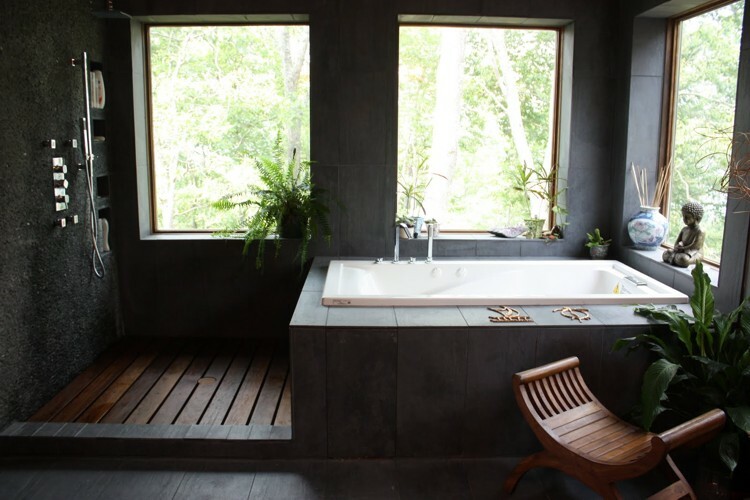 Great details throughout-- like the slate-walled bath. 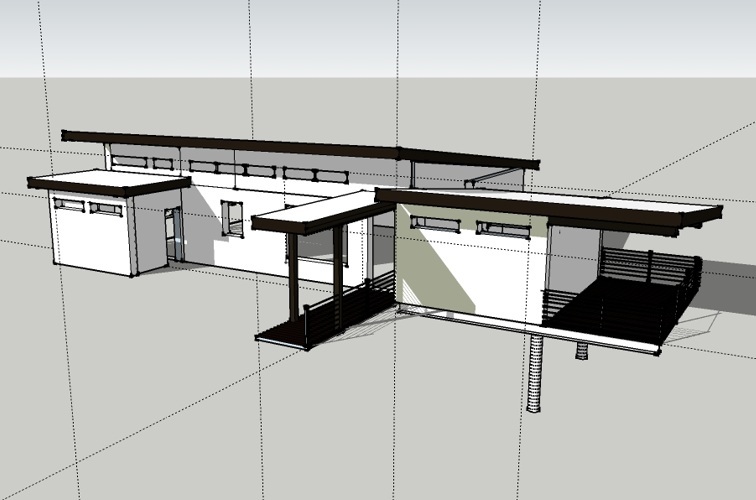 The clean contemporary design shows how new materials can produce mainstream sustainable buildings. Behind these groundbreaking walls is an idea -- we should be free to live in an environment that is non-toxic; one that helps clean rather than contaminate the air, the earth, and our bodies. 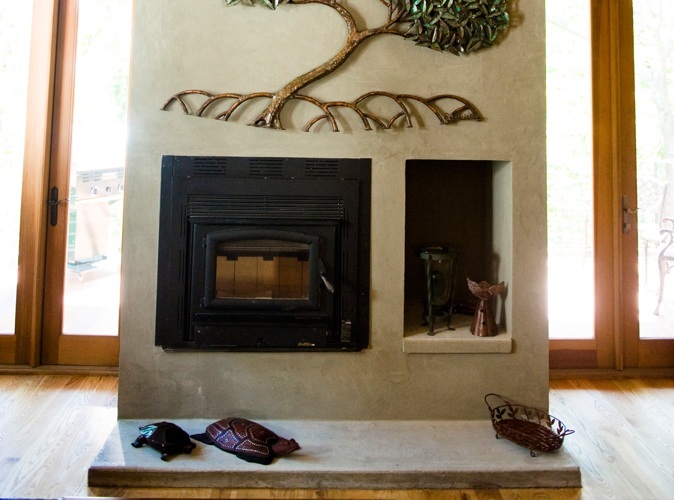 That was the pivotal point of my conversation with design/builder Anthony Brenner on his house made from hemcrete based on industrial hemp-- the first in the US. 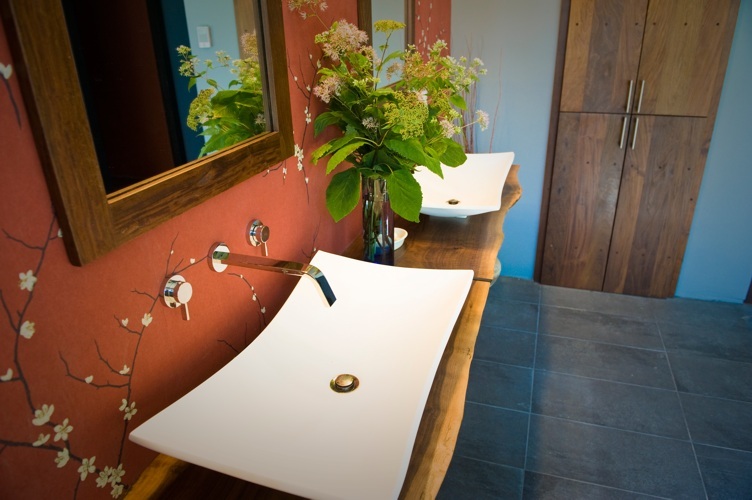 The home has seen a meteoritic rise in the media, with coverage by CNN and USA Today, and even late night TV, but behind the headlines and punchlines shouting out about the latest and greatest green material is a home that fulfills the core concerns of an environmentally-sensitive habitat. 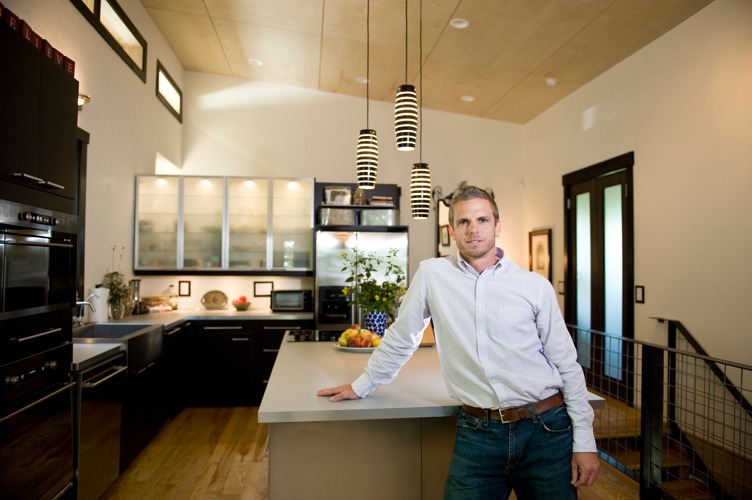 With that lens his company Push Design was able to build a great home that is sizable but incredibly light on the environment, energy usage, and total cost.